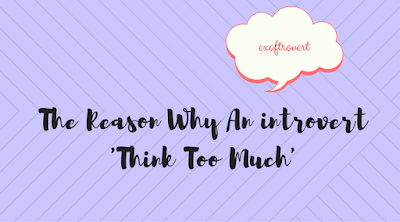 The Reason Why An introvert 'Think Too Much' -Have you ever felt that you were thinking too much about something? For example, if you plan to travel to another country, you think about many things. For example, when is the best time to go? Then how to get a work permit to go on vacation? Which country will you go to? Any place of tourism to visit. And there are many other things to think about and worry about. If you experience this, then this is natural for an introvert. Although in fact, it is not necessary. Sometimes, for others, things like this are troublesome, some feel impatient to listen to your worries because they think it's weird to do. They assume that you must live for now and all future things can be thought of in the future. 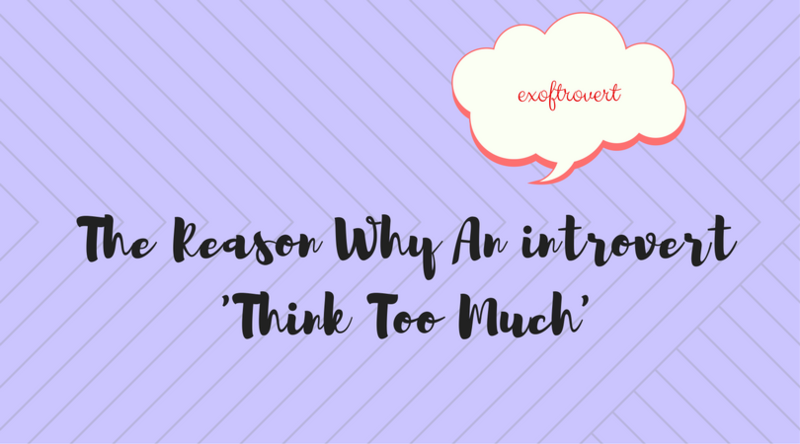 Why would an introvert think too much? In fact, many introverts feel that this has to be fixed. There are times when they are uncomfortable to think too much and worry too much. Quoted from Psychologytoday, the researchers mapped electrical activity in the introverted and extroverted brains. Introverts have higher levels of electrical activity than extroverts, indicating that introverts have greater cortical arousal. This "cortical" is a part of the brain that integrates complex sensory and neural functions and coordinates activity in the body. According to that research, introverted activity centers on the frontal cortex that is responsible for remembering, planning, and making decisions. This results in Introverts needing more focus and attention in terms of thinking. In the case of introverts, excessive thinking can lead to excessive anxiety and worry. This is one of the causes of fear and doubt that can prevent us from becoming a better person. But on the other hand, excessive thinking also has its own advantages. An introvert is known as a meticulous person and has good planning in his job so he can get tremendous success in his career. What needs to be understood is how to control overthinking is not applied to all aspects of life thereby impeding progress on oneself. If done the right thing, then overthinking will also bring good things.